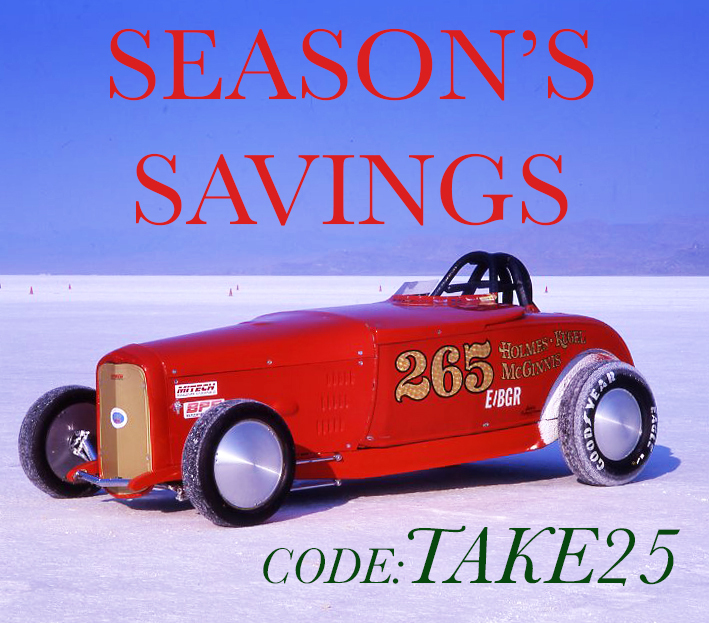 Still looking for that perfect gift for the hot rodder in your life? We’ve got you covered. If you order a subscription, gift subscription or a renewal, there’s no shipping necessary—we can email you a personalized timing tag-style gift card that’s sure to bring a smile on Christmas morning. Remember, our biggest sale of the season ends Friday at 11:59 p.m. PST. Use the code TAKE25 for 25% off all orders storewide. Yes, that includes subscriptions! What should you get for the hot rodder who has everything? Easy. 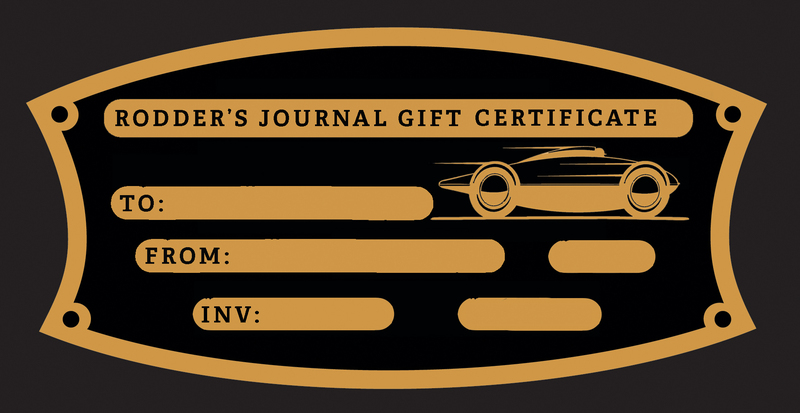 A Rodder’s Journal gift certificate. These are available in any amount between $25 to $200. (We’re sorry, but the TAKE25 coupon cannot be applied to gift certificates). To place an order, click the boxes above or give us a call at (800) 750-9550 in the United States, (877) 479-2627 in Canada or (650) 246-8920 internationally.